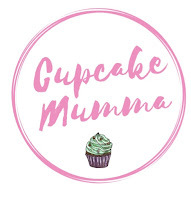 Cupcake Mumma: 16/31 My Bucket List. I've only just started jotting things down and calling this list my 'Bucket List'. If you look up there ^^ you'll see 'Project Zero' which is a whole list of things that I have until 2014 to complete. A Bucket list is a series of more bigger ideas I have thought of, ideas that perhaps need saving up for and certainly ideas that need more planning than seeing 5 films in a cinema! Top of my list at present is going to London to view the Harry Potter Studio Tour. We're hoping to do this this year after our wedding which would be great but it's pretty expensive and difficult when you don't drive! Although we'll take the coach up there most likely there's a lot more to sort out. However, I have to see the studio because I'm such a big fan. I'd also love to go to and have a tour of Kensington Palace and also The Tower of London. I want to go to wales for a family holiday and i really want to have my photo taken outside Buckingham Palace. I'm also on a misson to photograph the Olympic torch so watch this space! I didn't even know the Harry Potter Studio was a place you could visit! That sounds like fun! I love your bucket list as it's all do-able. Look forward to reading about all of the above.